The Impact Master is a high-quality, state-of-the-art golf club that happens to double as a training aid. 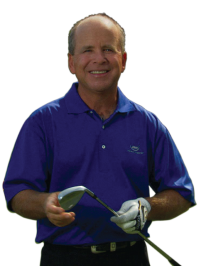 It will teach you to feel the correct impact position the key to solid ball striking. The secret to playing great golf is taking to the course exactly what you've perfected on the range. That's why the Impact Master is ideal: the club you train with is the club you play with. The Impact Master teaches proper IMPACT position. Achieve the proper clubface angle for your unique swing path every time. Get the ball moving toward your target, with consistent loft and backspin.